You have claimed an iceberg in Antarctica. 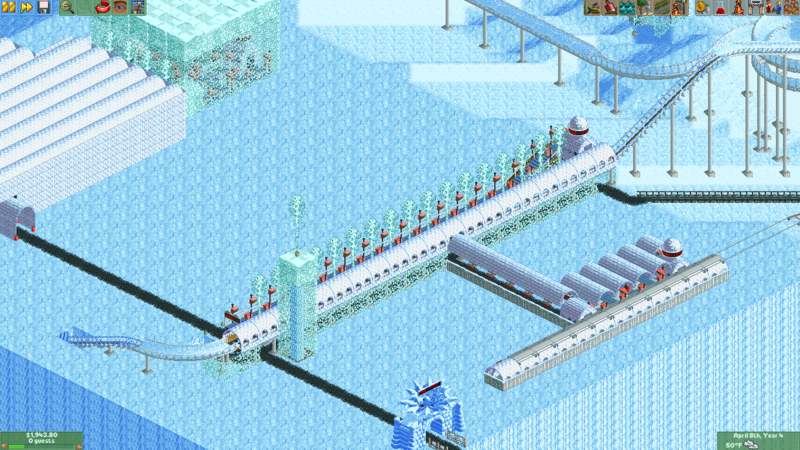 You must create a theme park before you freeze to death. Get ,000 a month from ride tickets to satisfy the government. Has an underground monorail around the park for even distribution of peeps. Has a chairlift that crashes on it's first course. 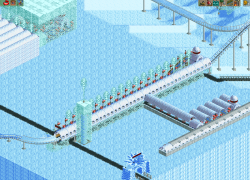 Has a massive bobsleigh that takes over 3 minutes to reach the bottom. Contains plenty of room to expand. Has more undiscovered research than you can imagine.